Tuesday 11 September 2012 was the day that Mansfield celebrated the achievements of local Olympians, Rebecca Adlington, Ollie Hynd, Sam Hynd, Charlotte Henshaw and Chris Adcock. 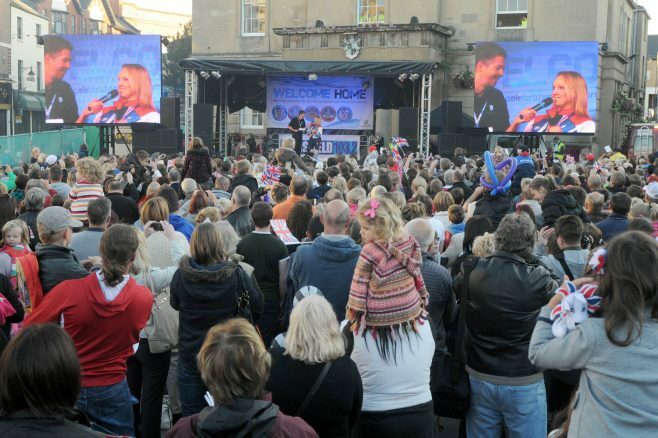 Prior to the ‘Homecoming Celebration’ in Mansfield’s Market Place, they were all at Mansfield Museum for a press conference. This was an appropriate venue as the museum was hosting a display on the ‘Story of Sport in Mansfield’, and provided a good background for the interviews. 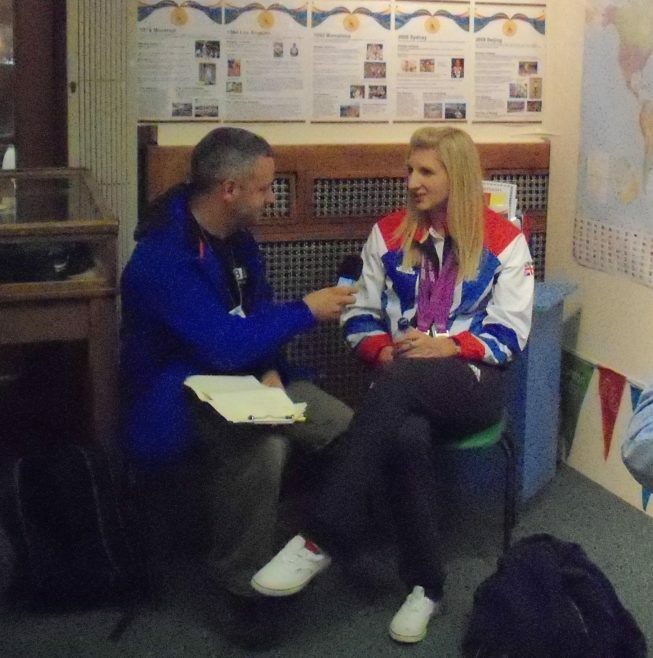 Rebecca Adlington is Mansfield’s Olympic swimmer, and gained her first bronze in the Women’s 400m Freestyle and then her second in the 800m Freestyle. 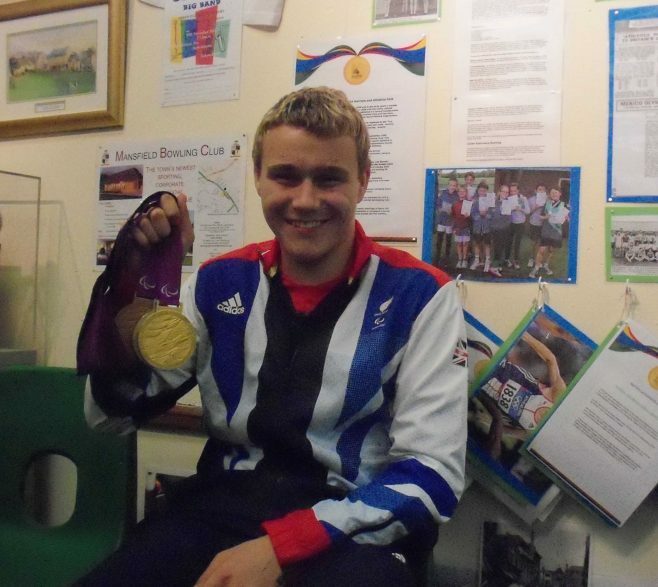 Ollie Hynd, won gold, silver and bronze medals in the Paralympics. He won gold in the SM8 200m individual Medley, silver in the S8 Men’s 400m Freestyle and bronze in the S8 100m Backstroke. Ollie swims with the Mansfield Nova Squad. Sam Hynd, another Paralympian and Ollie’s brother, gained a bronze medal in the S8 400m Freestyle. 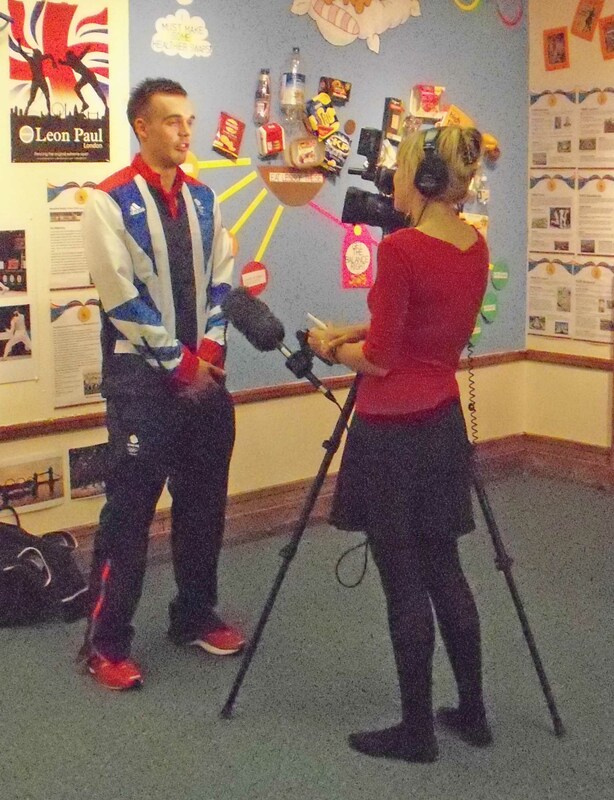 His swimming roots are in Mansfield but while he is at university, he trains in Swansea. Unfortunately Sam was unable to attend the event so we do not have a picture of him. 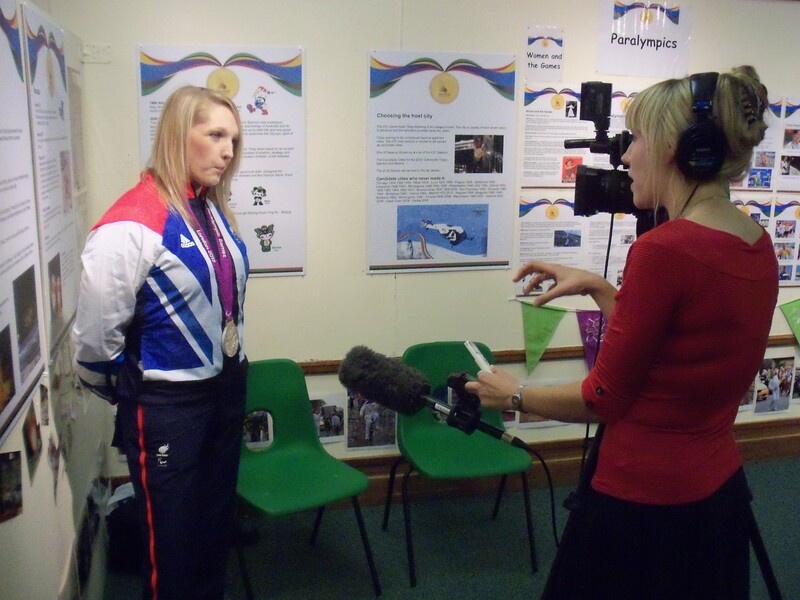 Charlotte Henshaw also a Mansfield Nova Paralympic swimmer won silver in the SB6 100m Breaststroke. Chris Adcock, a Team GB Olympic badminton player, played in the mixed doubles. After he and his partner won the first set in both their first rounds, they sadly lost out to a German pair Michael Fuchs and Birgit Michels. Chris who has played for Mansfield Badminton Club from being a youngster is supported by the Armchair Club. Very well done to one and all, plus their supporting teams! Good luck to them now and in the future. A bit late I know but only just set eyes on this particular contribution. Photos a bonus of course.